Screw & Tube Set, stainless steel, including 2 screws and 2 tubes. Tube diameter 2.6 mm, screw diameter 1.7 mm. Suitable for Panerai watch bands in leather and rubber. 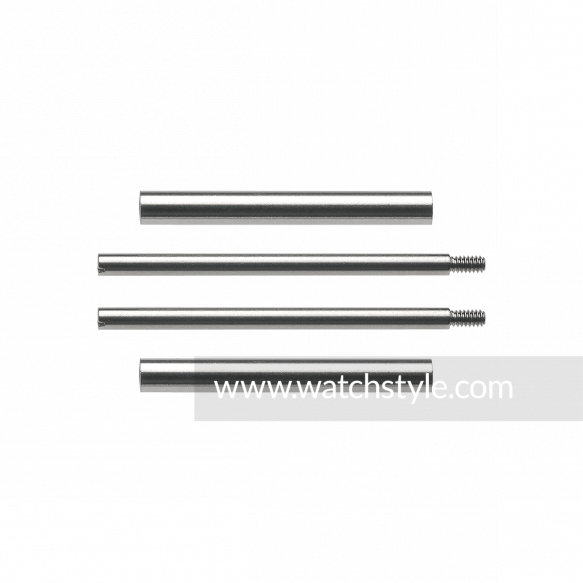 Compatible with Panerai Luminor watch cases.